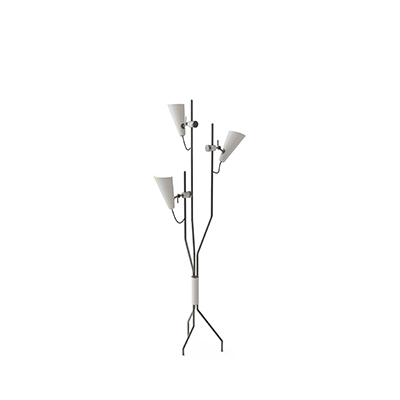 Just take a look at these floor lamps! You have to come, we promise Frankfurt won’t let you down! The German event of the year is about to start, get ready for Light and Building 2018! This is one of the biggest Frankfurt fairs out there, which means you have to visit it! Today we are here to present you the floor lamps that are going to make an appearance there by DelightFULL. Pack your bags, you’re about to meet Frankfurt, welcome to Light and Building! Botti floor lamp was inspired by the jazz musician of Chris Botti. The mid-century lighting is handmade in brass with a gold plated finish that reminds of a real trumpet due to its unique shape. With an aluminium base, this modern floor light can be customized in marble, giving an even more luxurious design to your mid-century modern interior. This brass floor lamp will make an appearance at Light and Building just for you! Botti art deco floor lamp showcases a high-quality craftsmanship, that will definitely make a statement in your sophisticated classic living room design or mid-century hotel lobby. Botti contributes a jazzy and mid-century vibe as does the gold plated and white glossy finishes. If you ever find yourself listening to “New York, New York” by Frank Sinatra while drinking a cocktail in a mid-century bar, this lighting design will be there. A sculptural and versatile creation, the iconic modern floor lamp features three articulating arms handmade in brass that are adjustable in a variety of different locations in order to allow you to situate the lights exactly as you need it. It has a height of 70.9 inches and sits on a brass base with a counterweight made in steel for a sleek contemporary style. 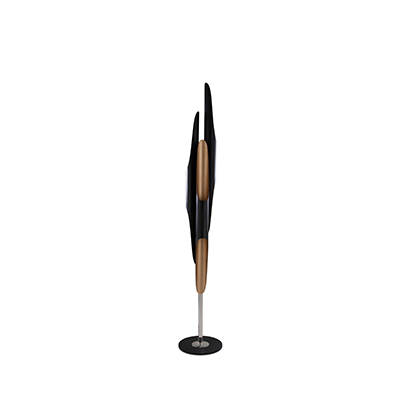 This task floor lamp exudes a mid-century modern flair that will elevate your art deco interior design. Lamp Delightfull 0 with its neon lighting dazes all the voyeurs, impressing the most demanding client. The lighting is dim due to the blue acrylic coating that brings softness to the whole. This is one of the coolest pieces you can find at Light and Building.With a height of 1 meter, the lamp will give your project a completely fresh touch. You can also use this lamp outside. Put it down or fix it on the wall. Lamp Delightfull T recovers the retro style with a mix of urban style for your house design. The mixture of neon green with the interior lighting LED turns this letter almost hypnotic. With a height of 1 meter, it can be placed also outside. You can either put it on the ground or on the wall. One of our most unique and funky letters for your interior design. By mixing the white LED light blocks, the red color and the shiny stainless steel, the letter P turns out to be both very stylish and fun. With a height of 1 meter, this lamp will give your interior a lot of originality and glamour, as well as a soft light. 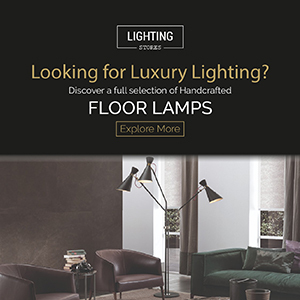 ModernFloorLamps Gives You Nickel-Plated Floor Lamps!